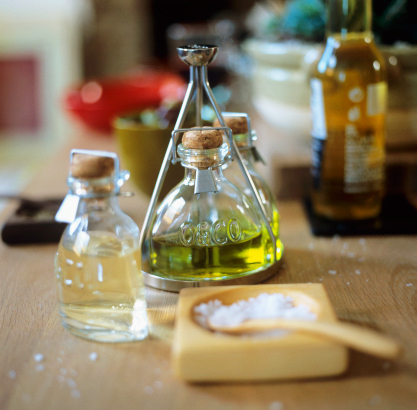 For hundreds of years edible oil has been made from plant raw materials and used in cooking, medicine and cosmetics. Some oils are pressed using a simple press, others are extracted using high temperature or chemicals. • Using mechanical presses for pressing oilseeds. Mechanical presses slowly press oilseeds and, depending on the temperature of the preheated raw material, either virgin oil or cold-pressed oil is produced. • After the initial oil has been recovered, the oil cake remaining after the first pressing is processed by solvent extraction. • Direct solvent extraction takes place without any prior pressing, but oilseeds are crushed to optimal size prior to extraction. A solvent is used in all these cases to separate the oil from the crushed seed mass. In the final processing stage, the solvent is evaporated and edible oil is produced. During oil production, the so called “raw oil” and “press cake” are produced. The “raw oil” still contains solid components, such as pigments, phospholipids, free fatty acids, toxic chemicals (heavy metals, pesticide residues, oxidation products, etc. ), it has an undesirable odor and taste. In order to obtain high-quality edible oil, oil is refined by removing its undesirable components. Depending on the types of oil, refining methods differ (physical, chemical). Oil refining, consists of a number of purification stages: hydration, neutralisation, bleaching, and deodorisation. The oil processed in this way is called “refined oil” and is ready for consumption. The cold pressing of oil is the oldest method. It has been used for about 5000 years and must take place at a temperature no higher than 30°C, regardless of whether the raw material is pressed manually or using a granite old press or a modern stainless steel press. Such oil retains the flavour, taste and nutritional properties best. This is the common way to produce olive, sesame, sunflower or peanut oil. There is also a vacuum extraction method where oil is extracted at even lower temperatures in a dark oxygen-free environment. Cold-pressed oil is distinguished by its natural qualities, but has a specific odour and taste, which is not acceptable to every user. 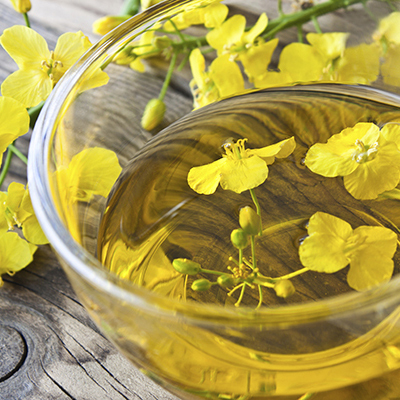 Rapeseed oil is ideal for frying and roasting in the oven because when heated it retains its properties. It is also suitable for salads and other dishes. 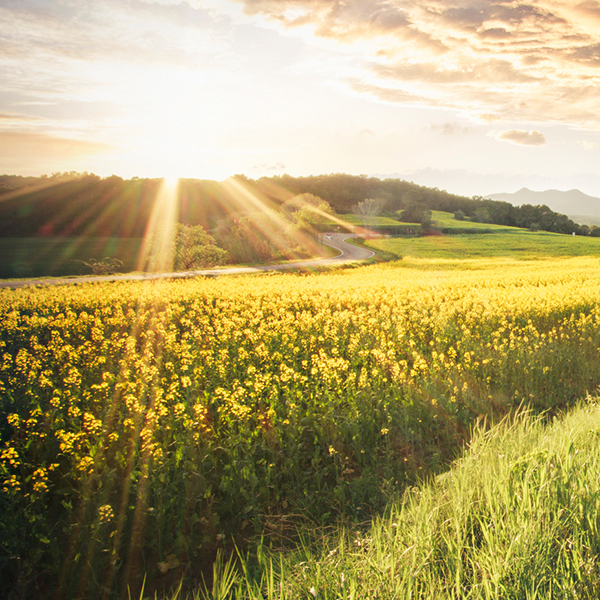 Rapeseed oil has omega-3, omega-6, and omega-9 fatty acid balance particularly suitable for humans. Soyabean or so-called vegetable oil is versatile and therefore suitable for a variety of dishes. It is rich in omega-6 fatty acids. This oil is recommended for use in hot dishes, salads and sauces. Refined sunflower oil is a natural source of vitamin E. This oil is good for salads. Suitable for frying.